For additional information about this book, visit the website leighcross.com. “Who are we hanging today, Ratcliffe?” Sir John Seede demands of his secretary, Ratcliffe. Ratcliffe and Sir John extract confessions of questionable quality, and dubious directions to treasures by offering reprieves (also dubious). The last to be questioned, Captain Thompson, provides more specific instructions. Thompson attempts an escape to no avail. When his father dies, Sir John returns to England, and occupies himself with polishing his manuscript on piracy. He dies and his manuscript is published by his wife, Charlotte. An enterprising plagiarist happens on a copy. He extracts the story of Thompson, includes it with several other pirate yarns and publishes them in a tawdry pulp volume that goes through three editions of a hundred thousand copies each. The book is a howling success, and causes one hell of a lot of men, who should have known one hell of a lot better, one a hell of a lot of trouble. We skip ahead a couple of hundred years to the nineteen seventies. 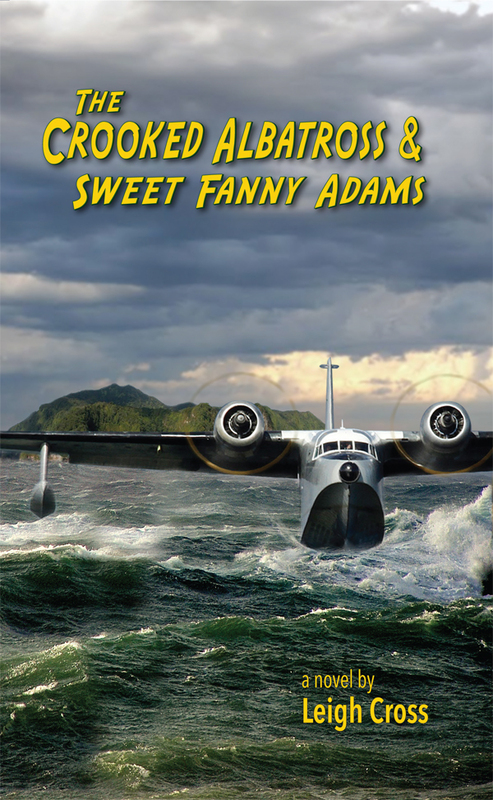 In an aircraft repair workshop Longstreet, a Canadian timber cruiser, encounters Van Dusen, a “mover and shaker with a great big Ipana smile.” Van Dusen owns an Albatross, an amphibious aircraft. In a restaurant in Vancouver, Longstreet dines with his girlfriend, Delia, Van Dusen enters and recruits Longstreet into a treasure hunting expedition. Longstreet and Delia go to Panama to inspect the converted tuna clipper, Sweet Fanny Adams and her caretaker, MacTavish. They meet other expedition participants:, Spatchcocker, Ratcliffe and Houlihan. The Costa Rican government requires them to take along Lieutenant Pedro Rivas, a young Guardia Civil policeman, as a watch-dog. Longstreet and MacTavish recruit Roger, a cook, and his wife, Wren. Delia breaks with Longstreet and connects with Van Dusen. The expedition sets sail from Panama in a rebuilt tuna clipper, the Sweet Fanny Adams. They arrive on Cocos Island and proceed with the search. Through a series of adventures, mishaps, quarrels, and disappointments they leave the island almost empty handed. The ship springs a leak which forces them to beach her in Puerto Armuelles, a Panamanian fiefdom of the United Fruit Company. They discover the real reason for Van Dusen’s interest in Cocos Island. The gang returns to their various origins. Longstreet and Delia are reunited. Have you read all those author’s biographies listing all their strange pursuits? Well, Leigh Cross is no different. Excepting the priesthood he has followed most of the occupations he's written about: Korean War Veteran, pilot, sailor, logger, horse-farmer, machinist, cellist, music historian— is that enough? He hopes so. Leigh was born an American but he got over it. He currently lives in Vancouver and when he's not writing, he builds Art Nouveau furniture, and is developing an electric tricycle. Holy cow! Is he still here? Call for the men in the white coats with the big, white laundry bag!